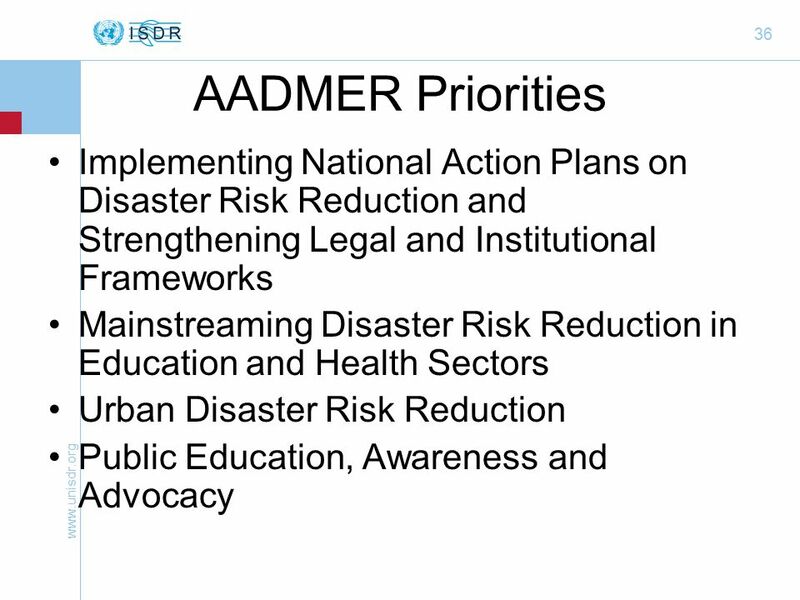 Www.unisdr.org 1 Jerry Velasquez, Ph.D. Senior Regional Coordinator International Strategy for Disaster Reduction United Nations Secretariat in Asia Pacific. 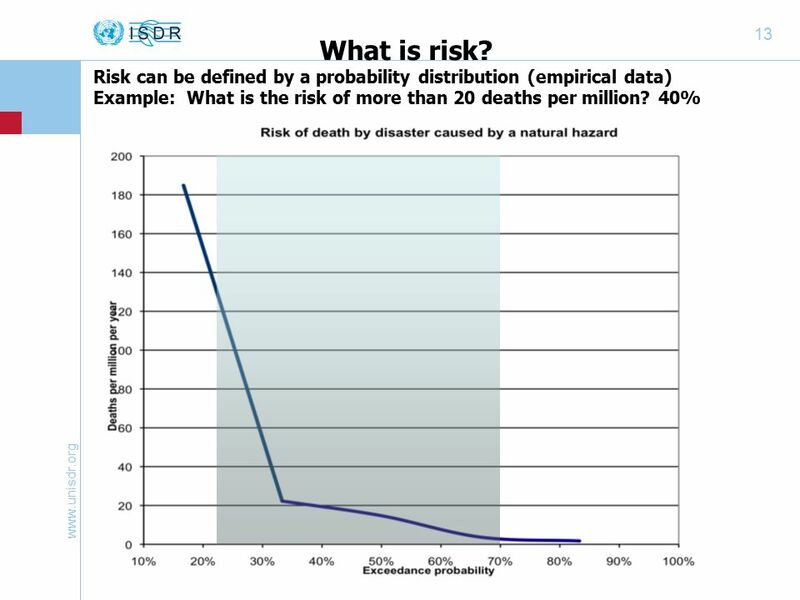 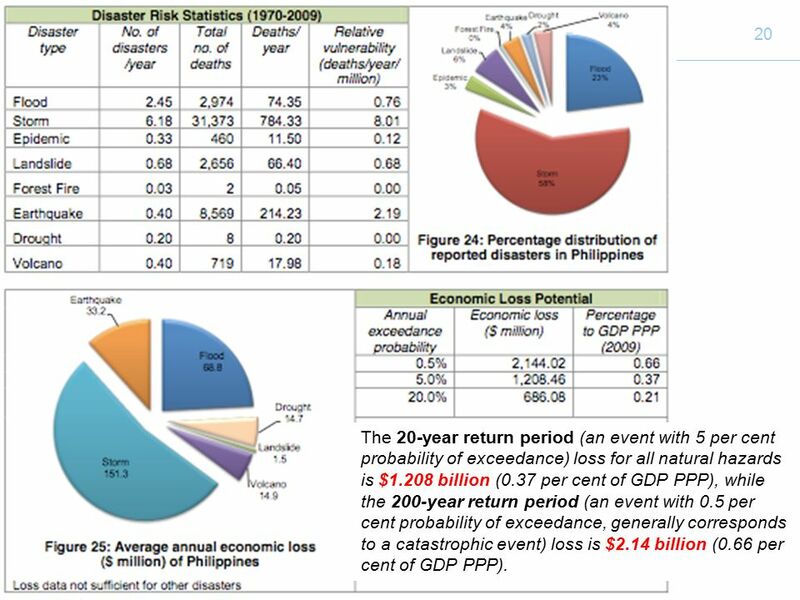 20 www.unisdr.org 20 The 20-year return period (an event with 5 per cent probability of exceedance) loss for all natural hazards is $1.208 billion (0.37 per cent of GDP PPP), while the 200-year return period (an event with 0.5 per cent probability of exceedance, generally corresponds to a catastrophic event) loss is $2.14 billion (0.66 per cent of GDP PPP). 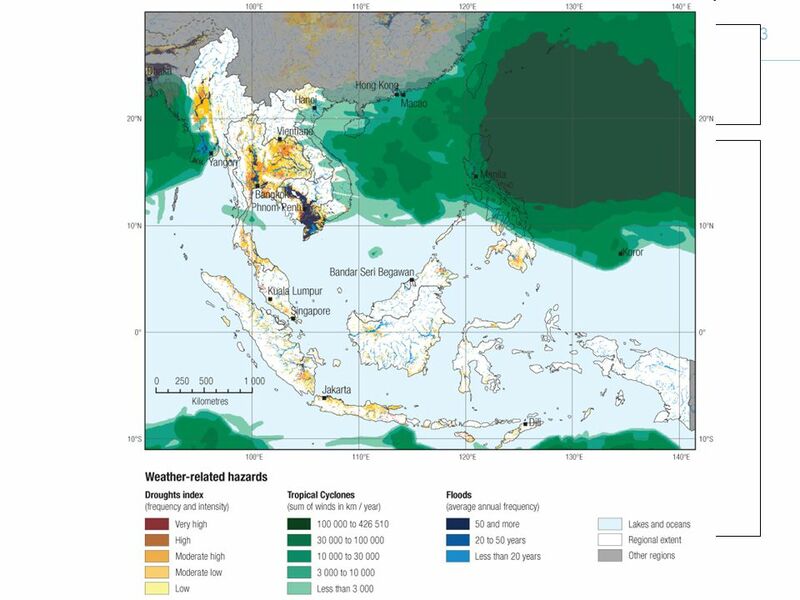 38 www.unisdr.org 38 Further the implementation of AADMER in climate change context Development of an ASEAN SAFE SCHOOLS PROGRAMME with the possible leadership of Indonesia and Brunei Continue strengthening data collection and sharing for disaster risk assessments to serve planning and decision-making. 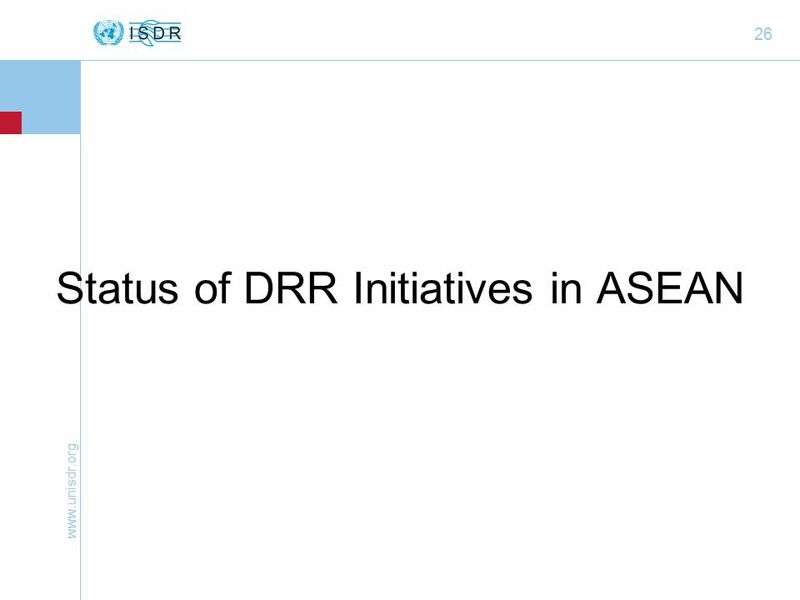 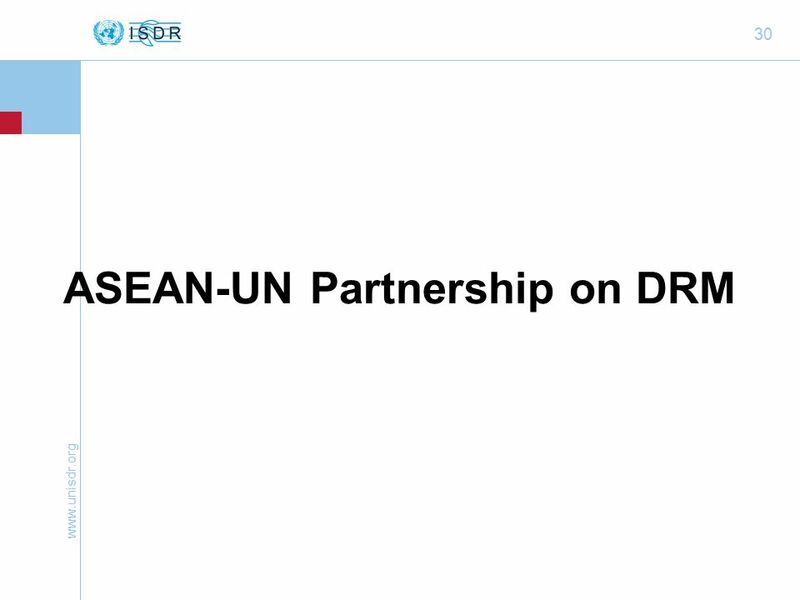 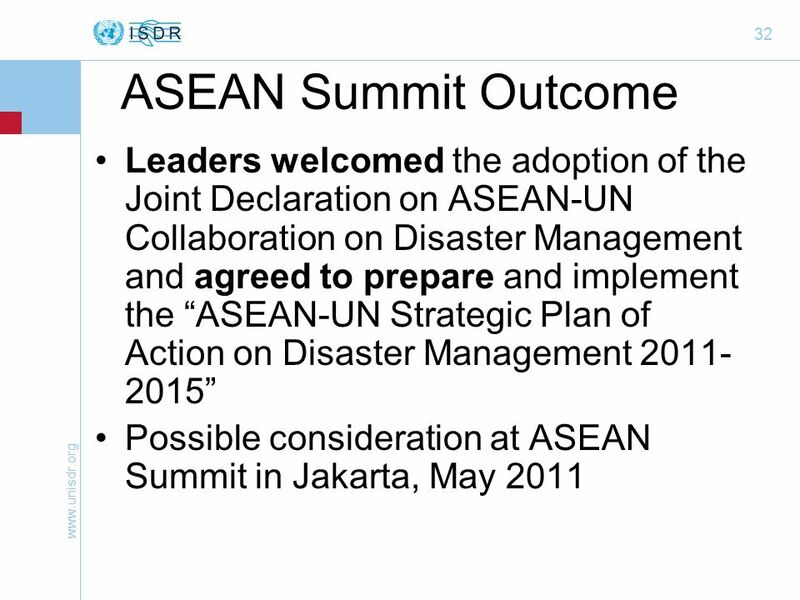 The development of an ASEAN DRR-CCA programme, promoting linkages between DRR and CCA programmes within ASEAN. 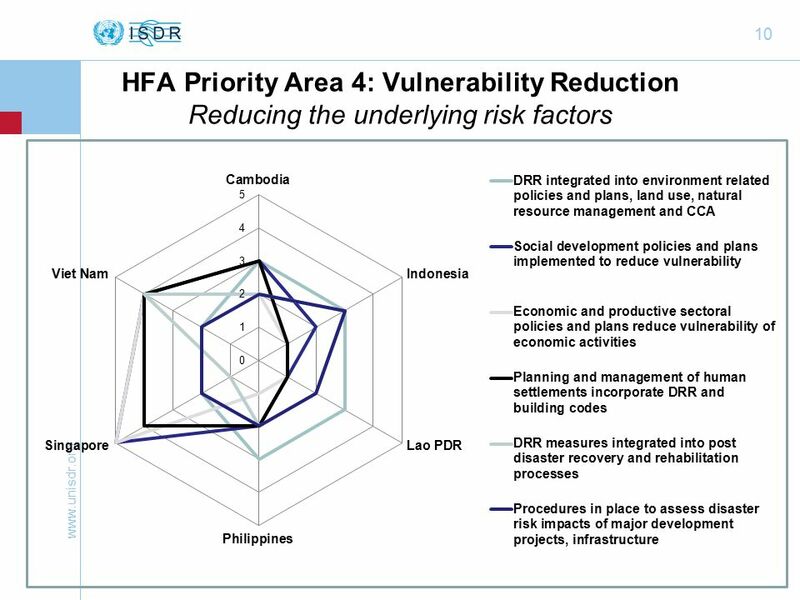 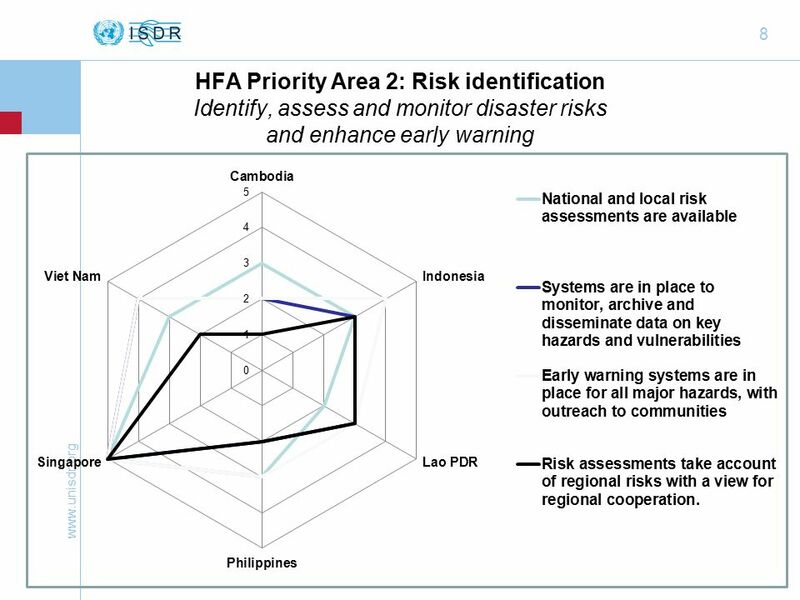 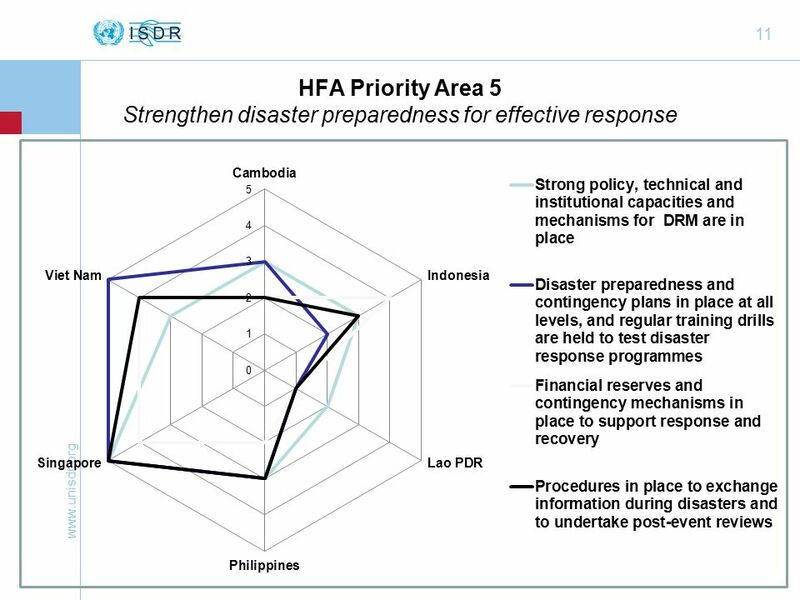 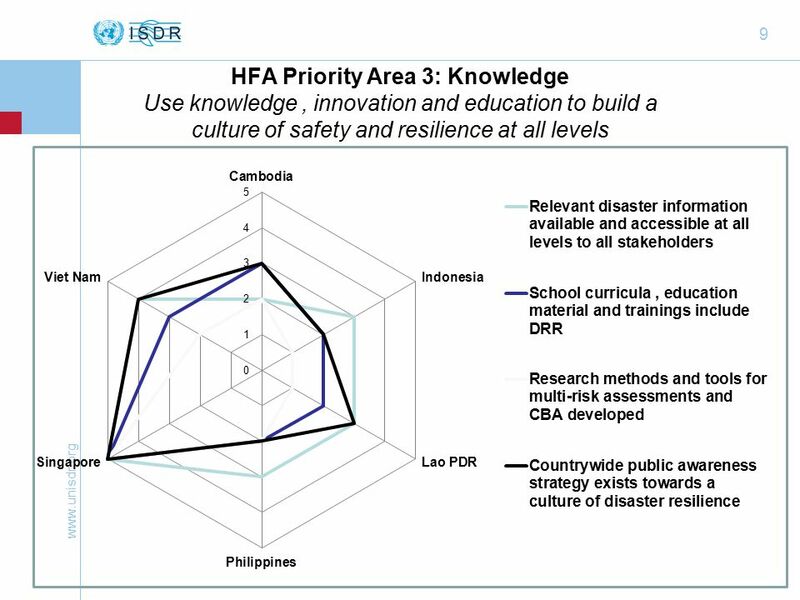 An immediate area of such as programme could be disaster risk assessment in the context of climate change projections. 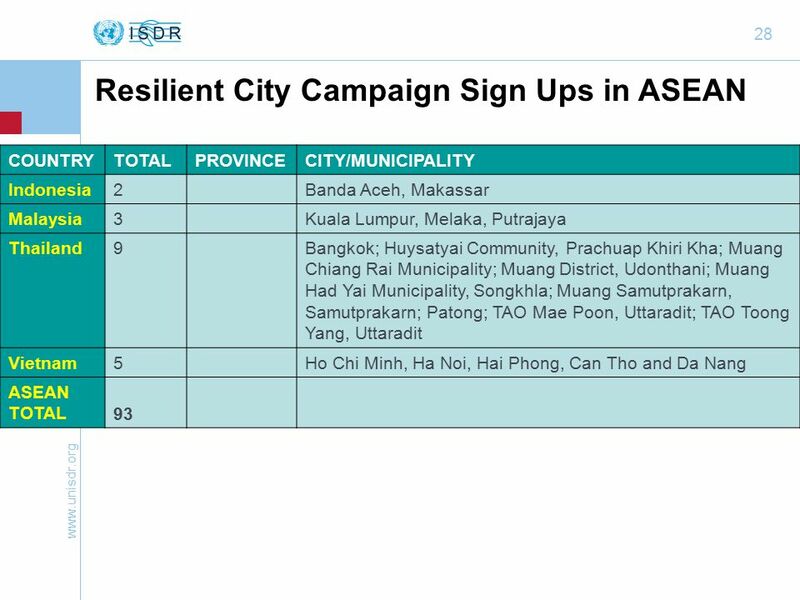 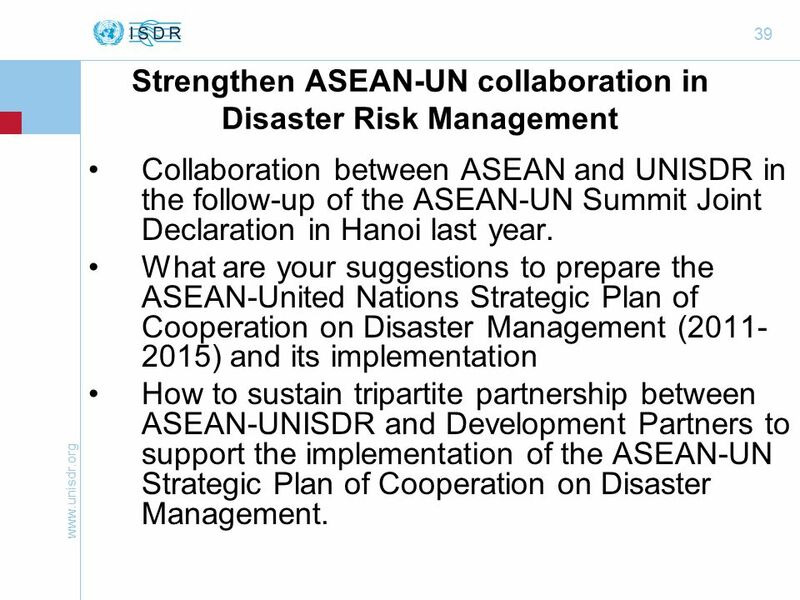 39 www.unisdr.org 39 Strengthen ASEAN-UN collaboration in Disaster Risk Management Collaboration between ASEAN and UNISDR in the follow-up of the ASEAN-UN Summit Joint Declaration in Hanoi last year. 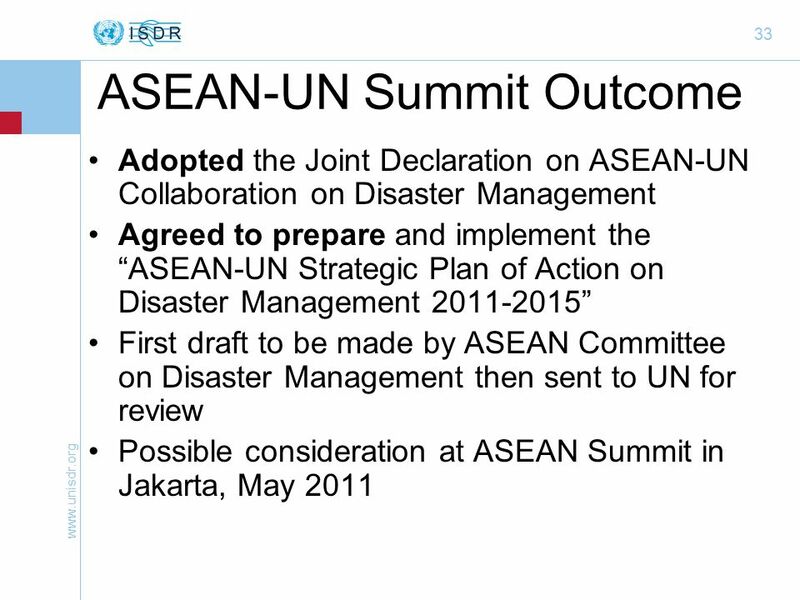 What are your suggestions to prepare the ASEAN-United Nations Strategic Plan of Cooperation on Disaster Management (2011- 2015) and its implementation How to sustain tripartite partnership between ASEAN-UNISDR and Development Partners to support the implementation of the ASEAN-UN Strategic Plan of Cooperation on Disaster Management. 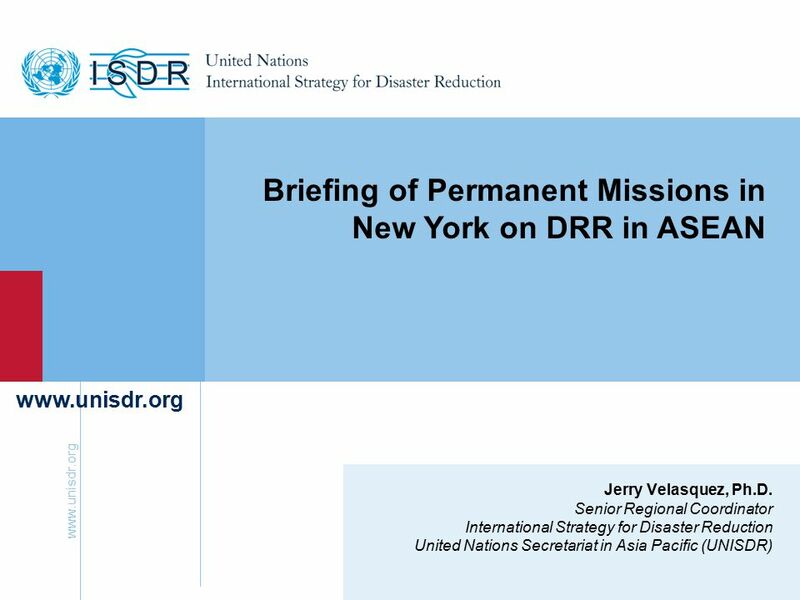 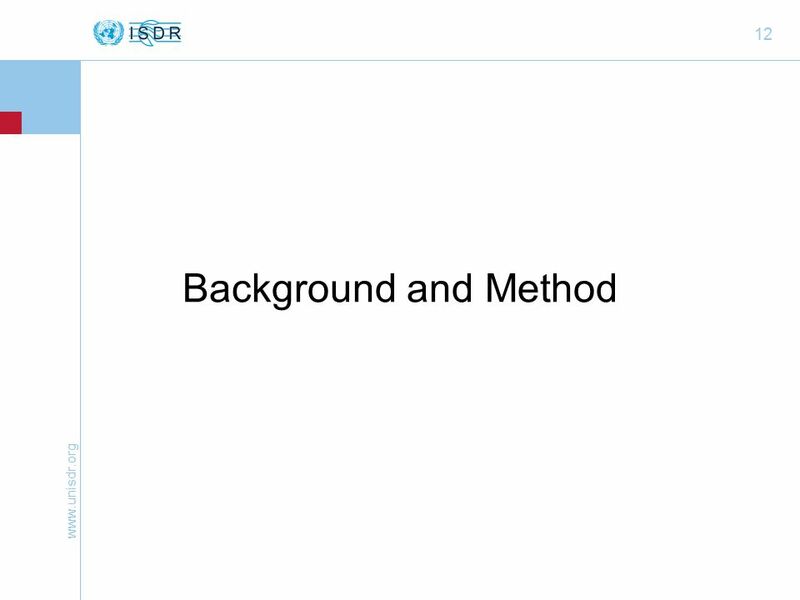 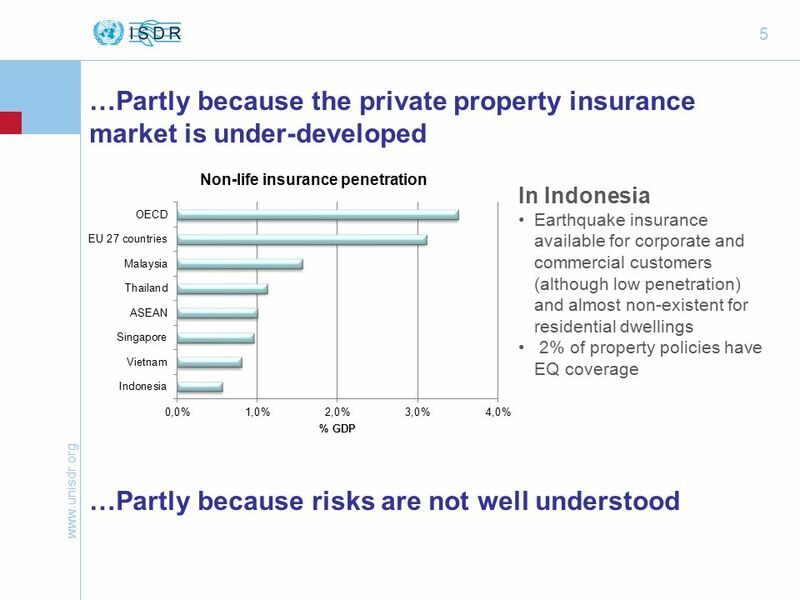 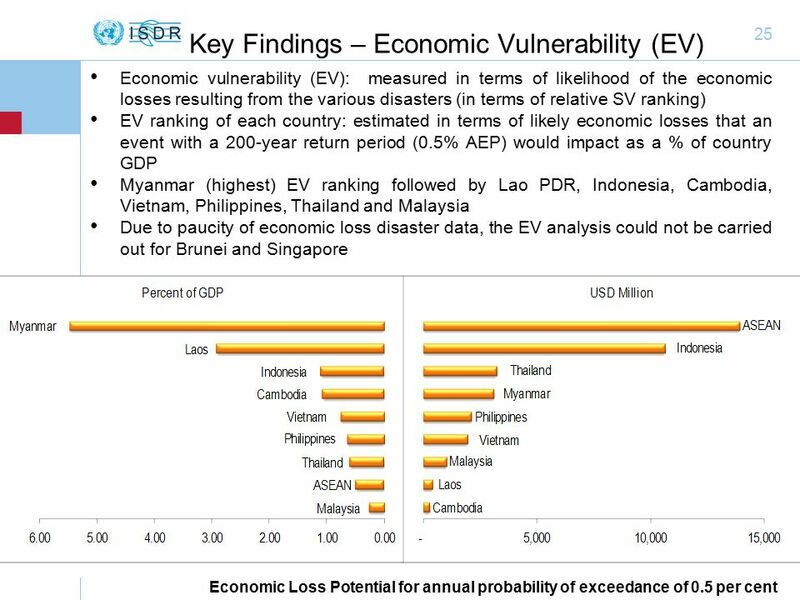 Download ppt "Www.unisdr.org 1 Jerry Velasquez, Ph.D. Senior Regional Coordinator International Strategy for Disaster Reduction United Nations Secretariat in Asia Pacific." 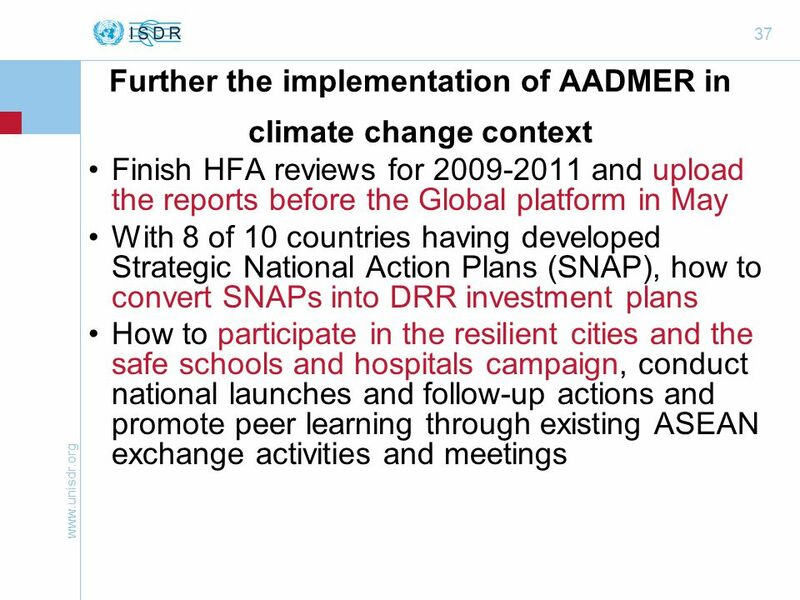 Handbook for Local Government Leaders LAUNCH 14 May 2012 Bonn. 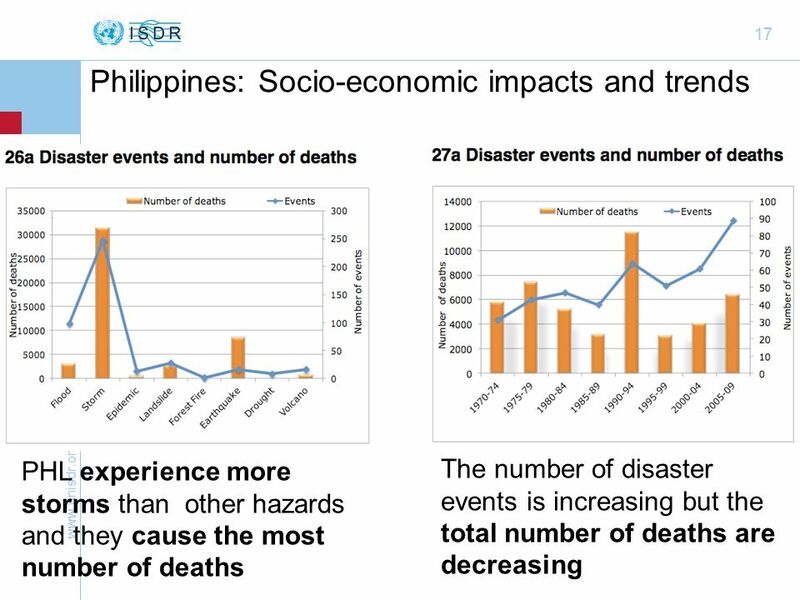 Finding Harm’s Way (Mapping Disaster Risk in the Philippines) Department of Environment and Natural Resources Manila Observatory 14 April 2005. 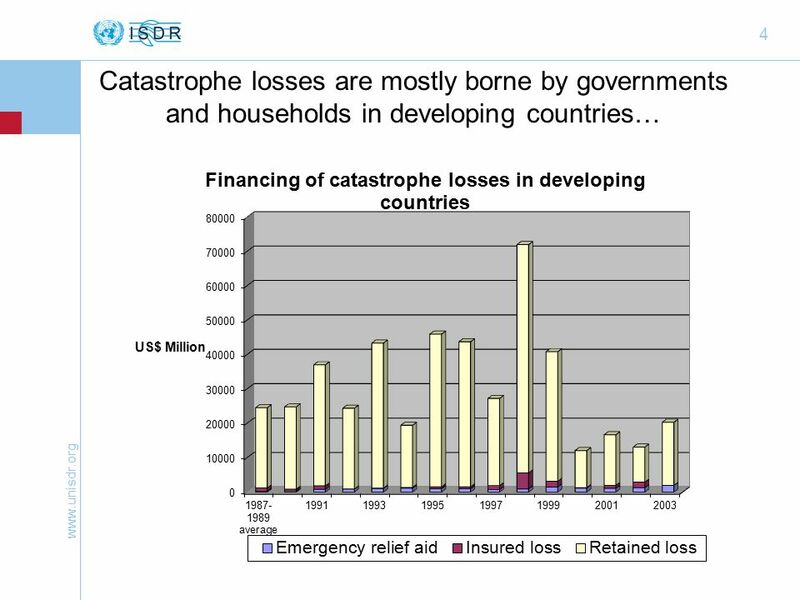 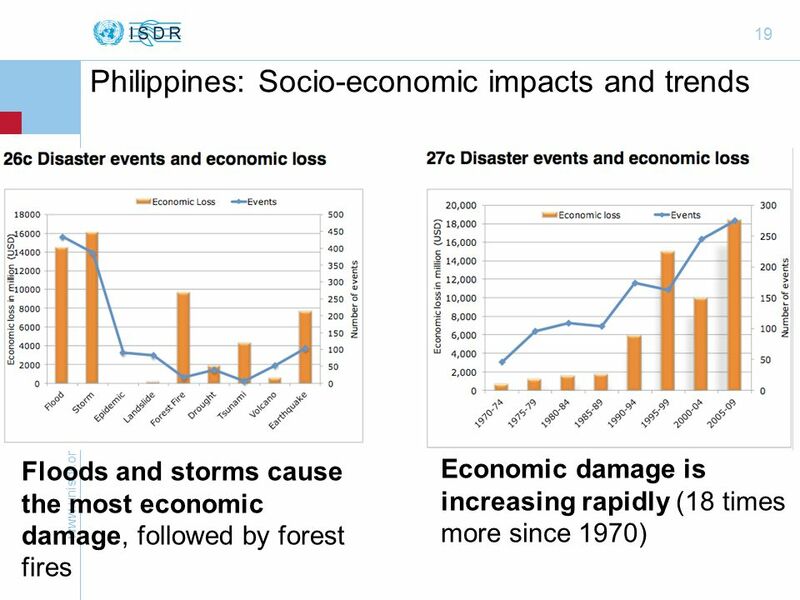 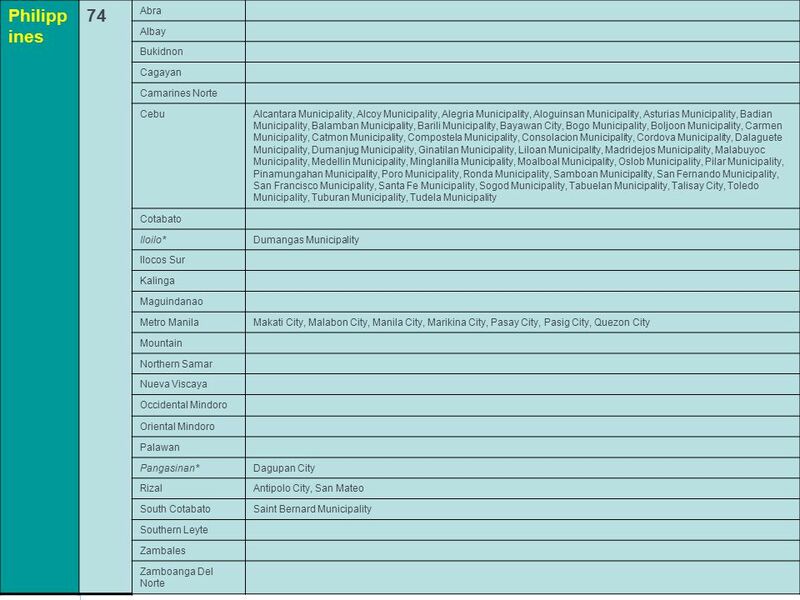 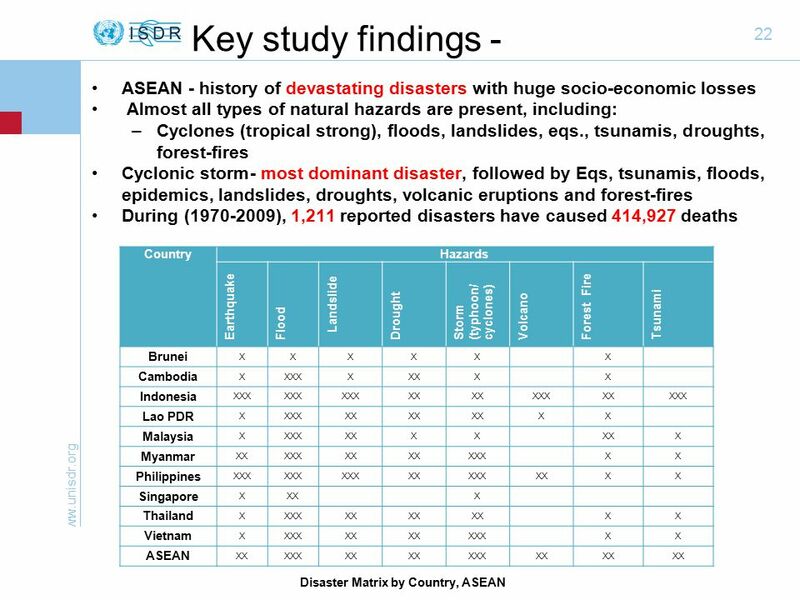 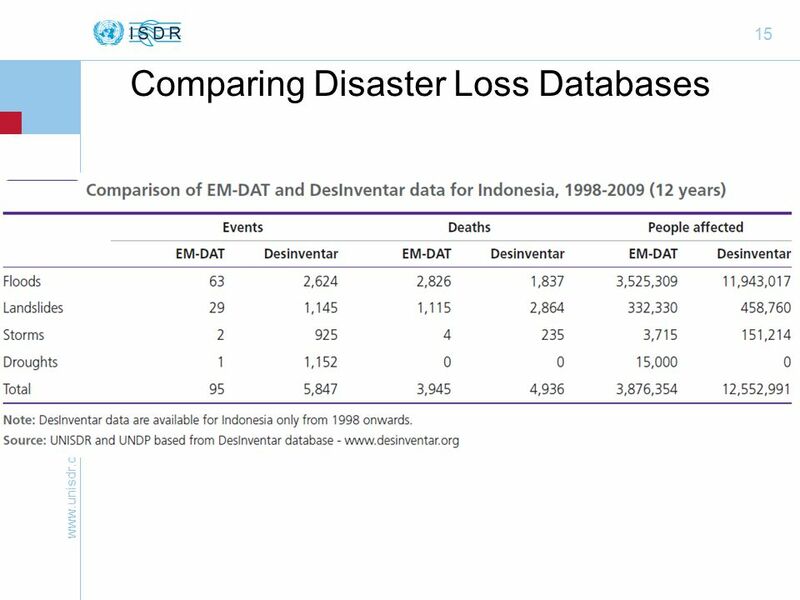 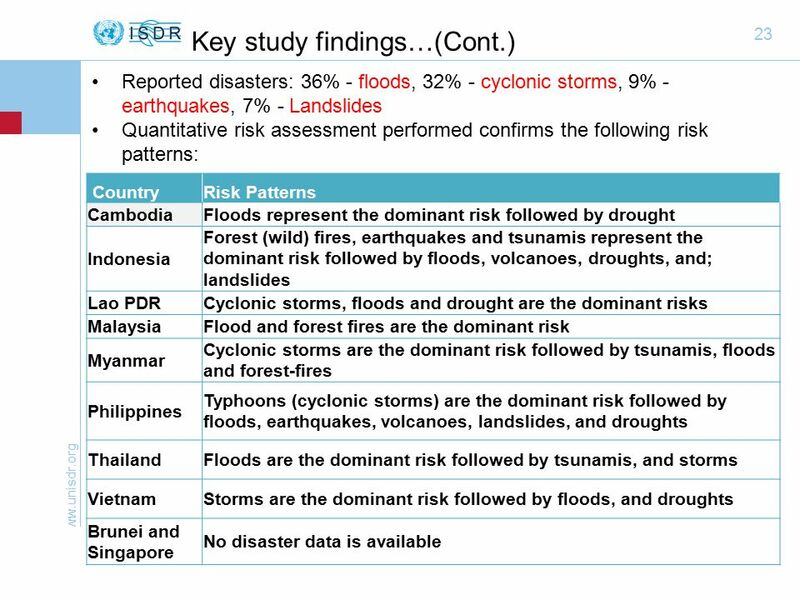 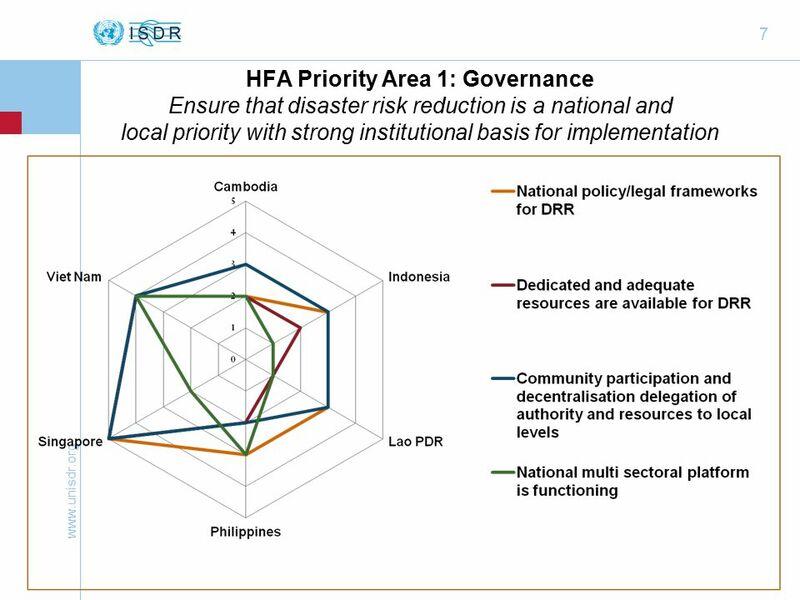 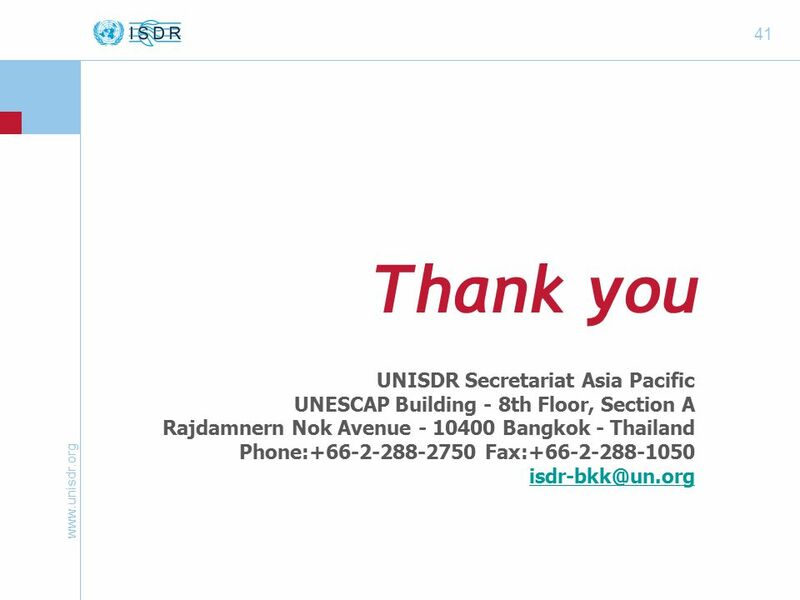 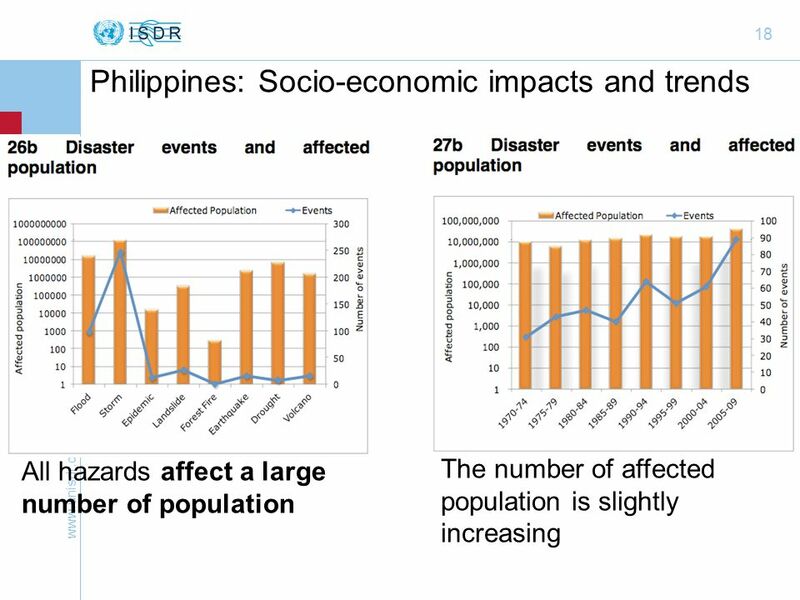 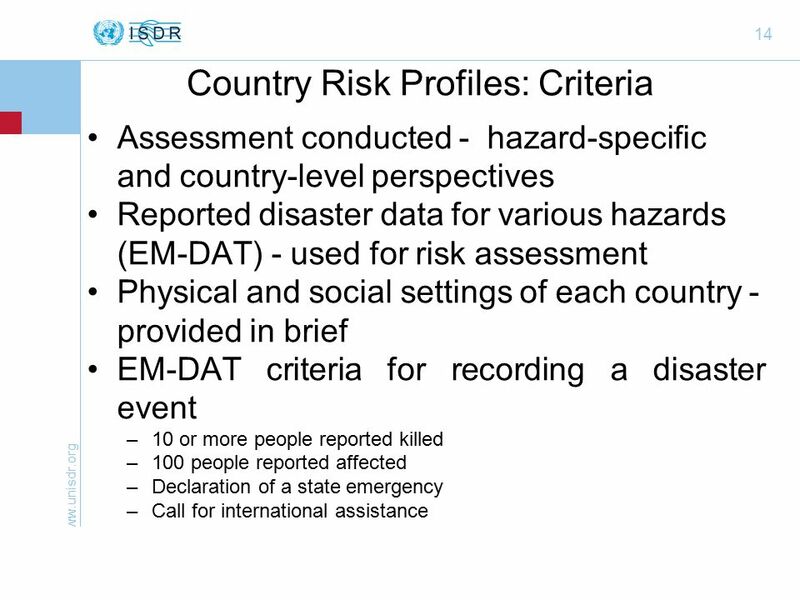 Overview of national disaster loss and damage databases Presented by - Rajesh Sharma Bureau for Policy and Programme Support UNDP Bangkok Regional Hub. 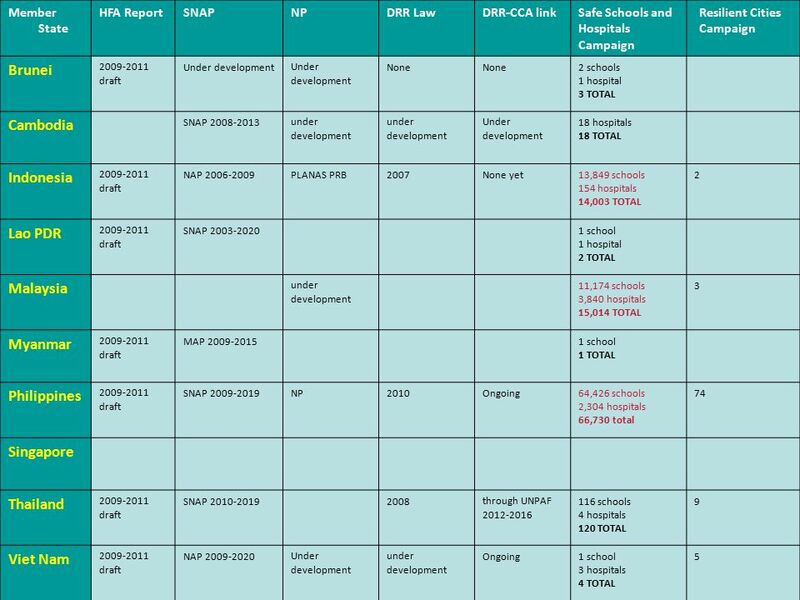 ISDR Africa programmes and SREX report Youcef Ait Chellouche ISDR Regional Office for Africa Dakar, July 2012. 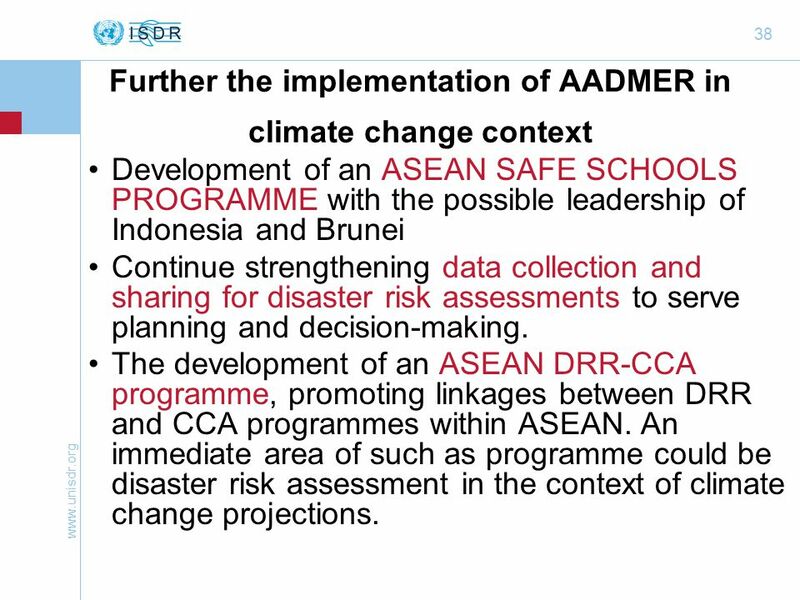 AusAID Update ISDR Asia Partnership Meeting Amari Watergate Bangkok 24 – 26 March 2010. 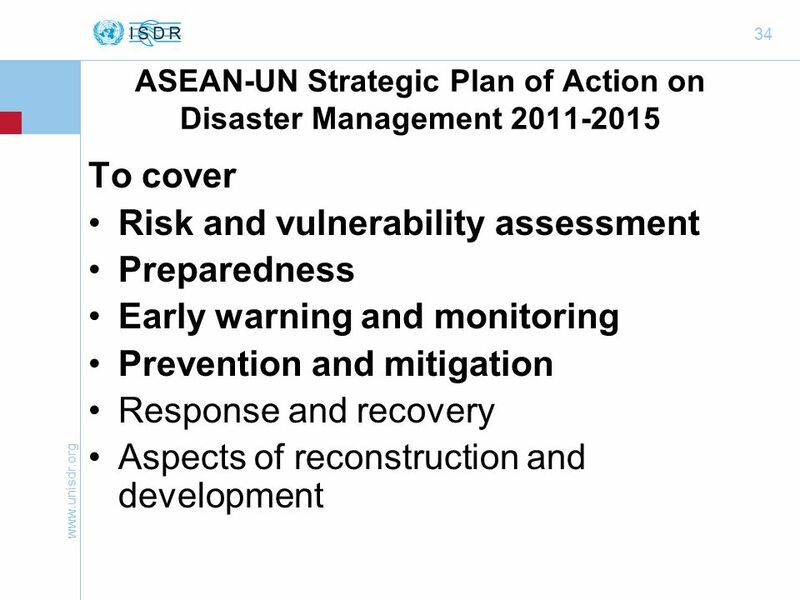 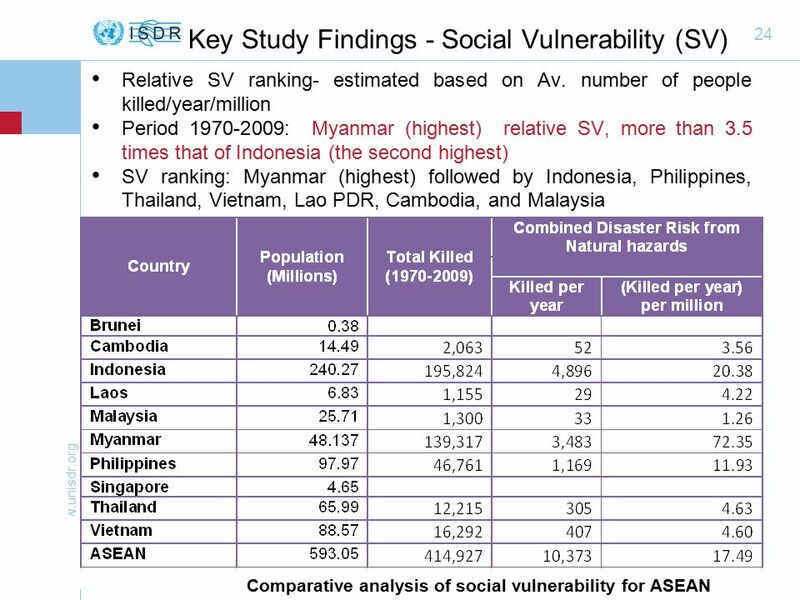 ASEAN Regional Mechanism on Disaster Management. 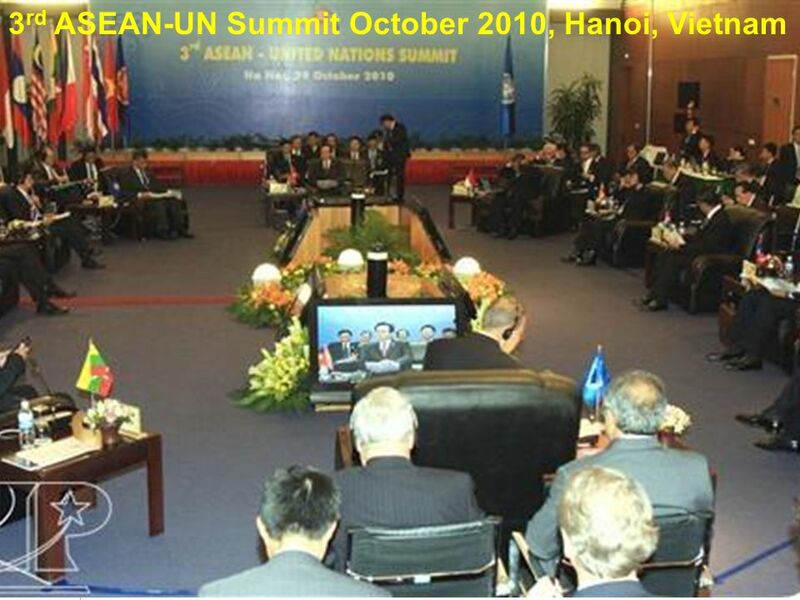 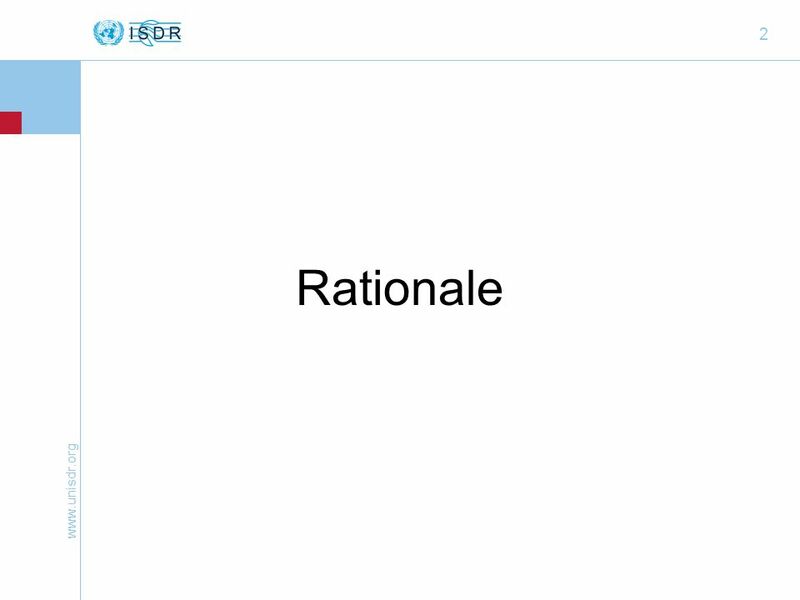 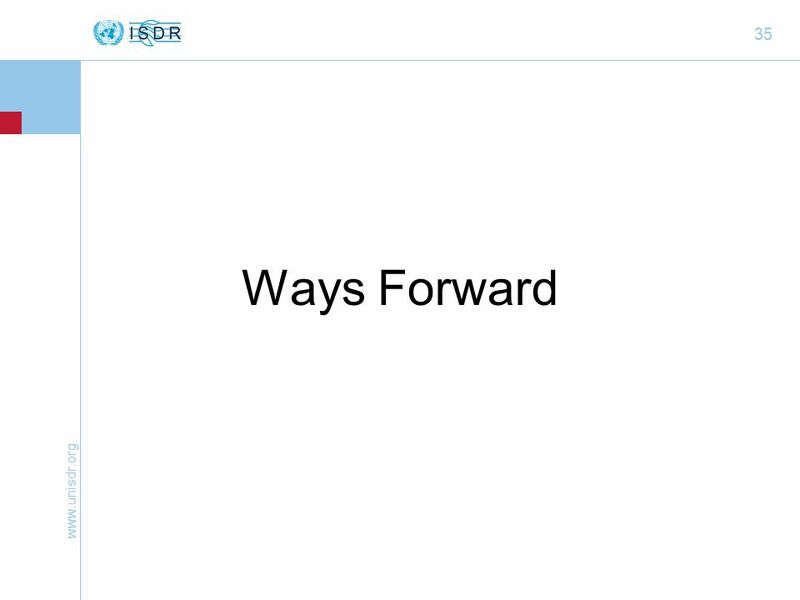 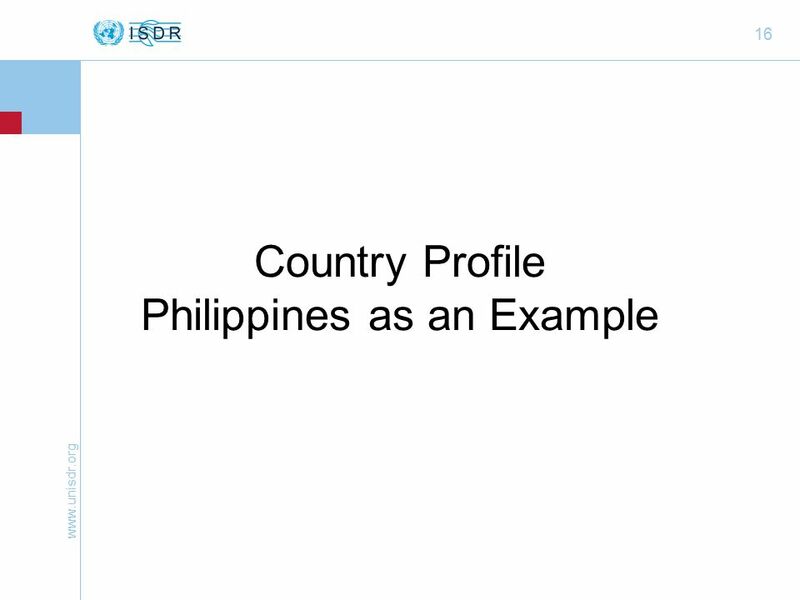 A legal framework that serves as a common platform for all ASEAN Member States with oobjective to reduce.